Following on from my post last week about the Prime Minister's Forum on the Digital Economy below is the list of points I'm planning to raise. Thanks to Kate Morris, Scott Farquhar (who is also attending), Peter Renshaw and an anonymous commenter for adding to these ideas. ESOPs are hugely valuable in attracting, retaining and motivating top talent allowing a startup like Shoes of Prey to directly reward our team should we successfully hit our targets. The main issue is that under a standard ESOP in Australia the ATO treats grants of shares or options under an ESOP as compensation for tax purposes, with tax payable on the value of the grant in the year the grant is made. For a startup like Shoes of Prey this means employees would need to pay tax when we grant them shares or options under the ESOP, even though these shares may never vest if the employee leaves the company, or the shares may end up being worthless if we're not successful. This is not how shares or options under an ESOP are treated in other countries like the US, and it makes it difficult for us to retain top talent in Australia. An alternative approach to funding startups and encouraging the establishment of a Silicon Valley in Australia is the approach proposed by Paul Graham in this article. Fund startups at the time they make their permanent roots in a location, and will be able to grow large enough to be able to received further funding from international VCs without needing to move. A small Series A round is the minimum here, Paul suggests ~$1m. Bring in 1000 startups at $1m each, a cost of $1b. This might take around 5 years. Once you had 1000 startups in town, international VCs would start opening local offices and could provide additional funding without the startups needing to move. How do you pick the startups? Make a list of the most eminent Silicon Valley angels and generate a list of all the startups they'd invested in. Offer these companies $1m each to move to Australia. Test the theory with 30 startups first and see what happens after 1 year. Pick a city that resembles San Francisco - good weather, central downtown hub, good Universities, fun vibe = Sydney! Paul says, and I think I agree that the political will to do something like this will be small, so I'll see how the conversation is going and may or may not raise Paul Graham's idea. PayPal is fantastic and we use them for our multi-currency credit card processing so we can accept payments from customers in Japan in Japanese Yen, payments from UK customers in Pounds etc. This is critical for Australian exporters in the digital space. PayPal's solution isn't perfect, and it's quite expensive but there are essentially very few other options for Australian businesses to use. It's possible to do through NAB but as I've blogged about previously it's abhorrently difficult to set up. We need innovation in the payments space. Sending parcels from Australia is ridiculously expensive. Under the Universal Postal Union structure, Australia Post are restricted in what they can charge to forward mail sent from overseas to Australia. Australia Post apparently make a loss on this part of their business. Australia Post CEO Ahmed Fahour (who is also attending the event) has said, "The only way we can minimise our losses is if the domestic price goes up." "The more Australian retailers go online, the happier we are, because we actually make a buck on that." I can appreciate the issues Australia Post are facing, however the problem for online retailers in Australia is this means the rates to export products overseas make exporting unprofitable for many businesses. A 2kg parcel shipped to the United States costs $81.20 for a 2-4 day service or $117.74 for a 2 day service with Australia Post. This is 4 times what we were originally paying prior to volume discounts for a 2 day service from China for a 2kg parcel. The Australian dollar is high as a result of the resources boom. The high dollar is choking international competitiveness in the digital economy and post boom, Australia is going to be underweight in these industries of the future. Redistributing revenue gained from the resources boom into the digital economy would help alleviate this. Accrual accounting principles require that subscription revenue is realised over the period of time the service is being delivered. The ATO want to tax subscription revenue up front at the point of payment. This is a massive issues for subscription revenue businesses like Atlassian and other cloud software services, a rapidly growing sector within the digital economy. This is a major issue for these businesses and the taxation issues around this need to be rectified otherwise we'll lose some of these businesses overseas. 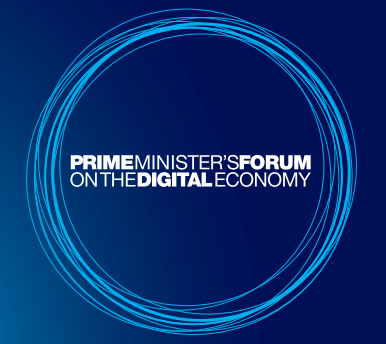 The forum will be webcast live at pm.gov.au/digitalforum. Press release with additional details here.